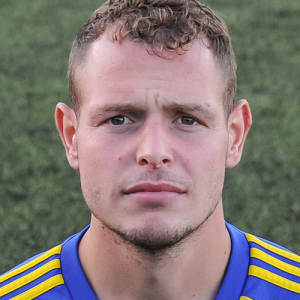 Khalsa gained an important moral-boosting win ahead of Saturday’s FA Cup Preliminary Round clash with Stourport Swifts, beating neighbours Wolves Sporting 4-1 thanks to goals from Leon Miles, Carlo Franco, Jay Holdcroft and Lee Chilton. The first half was a tense and robust affair, the early exchanges characterised by a lot of huffing and puffing but little goalmouth action. The visitors had the first notable effort on 11 minutes, Josh McKenzie managing to get a shot on target but easily saved by Sam Arnold and then four minutes later Khalsa striker Dan Westwood almost got on the end of a Mensah Kinch flick. Khalsa went ahead, another set-piece after two on Saturday, this time centre-half Miles powering home from Josh Thomas’s corner. Khalsa’s tails were up – Joe Burroughs bravely blocked Alex Perry’s rocket of a shot after Thomas had forced a great save from Wolves keeper Tony Alsopp and then Tes Robinson might have grabbed a couple of goals before the break. The home side continued where they left off after the break and four minutes into the second half, Franco’s looping header past Alsopp from Alex Woodhouse’s pinpoint cross doubled the lead. McKenzie had a great chance to reduce the arrears after 55 minutes, firing over from six yards out as Wolves Sporting threatened to get back into the game. On 69 minutes, substitute Holdcroft put the game beyond reach, rifling in a brilliant goal from the edge of the area for his second of the season. With striker Westwood still waiting to open his account for the season, two chances fell his way but went begging. The first was when the visitor’s defensive ranks managed to deny him after Alsopp stopped Perry’s long-range effort, although Westwood’s cross should then have been converted by Robinson. The second a few minutes later saw him shoot over from close range after Chilton’s break into the box and pass effectively laid it on a plate. With two minutes to play, Wolves Sporting substitute Josh Cooke raced to beat keeper Arnold to the ball, nipped it past him and shot only for Robinson to slide in and deny him a goal. There were two goals in injury time, first Chilton sprung the offside trap and smashed a great finish past Alsopp to make it four and then at the very death Edilson Antonio bundled home from close range for a consolation for the visitors. Sporting Khalsa: Sam Arnold, Carlo Franco, Alex Melbourne, Leon Miles, Tesfa Robinson (captain), Alex Perry, David Meese (Lee Chilton), Alex Woodhouse, Mensah Kinch (Rico Taylor), Josh Thomas (Jay Holdcroft), Dan Westwood. Subs not used: Jordan Hunt, Kyle Brady.